Mode of application: The CUSAT CAT 2019 Application form is available only in online mode on the official portal of the Cochin University. Availability: The online registration began from 30th January 2019. Registration deadline: The last date to fill application form without late fee was 21st February 2019. And, with the late fee, the last date to fill the form was 1st March 2019. M.Tech. Application Dates: The application form for M.Tech. courses is now available online on the CUSAT website, since 15th March and it will be available till 21st April 2019. Ph.D., M.Phil. and Diploma Application Dates: To apply for Ph.D., M.Phil. and Diploma programme the registration window opened on 30th January 2019 and it was open until 31st March 2019. For NRI Candidates: The last date for NRI candidates and for international Candidates (PIO/ Children of Indian Gulf Workers) is 30th April 2019. Note: There is no need to send CUSAT CAT 2019 application form with other documents by post to Cochin University. Official website: Visit the official website of CUSAT at admissions.cusat.ac.in to begin the application process. Credentials: Click on “New Candidate Registration” and correctly enter the Full Name and Date of Birth. Applicants need to provide a valid e-mail ID and an active mobile number to receive the password for their account. Candidates should note that these details cannot be edited in future, so candidates should make sure that they have filled the error-free details. Registration option: The email ID provided will be the username for further login on CUSAT CAT 2019 website. Guidelines to choose the correct options out of the 3 given options on the login creation page, is provided below. Lateral: There is also a Third option, "Lateral Entry" where candidates can join in the third-semester (Second year) courses for B.Tech. Login: Note that the e-mail id and mobile number used for CUSAT CAT 2019 website login creation will be considered as the registered e-mail id/mobile number and all the communications regarding CUSAT CAT 2019 will only be sent to the same. Note: The candidates are advised to write down their User ID and password of their registered e-mail and only provide the mobile number which is always available in their custody and keep it active till the end of CUSAT CAT 2019 admission procedures. OTP: A one-time password (OTP) will be sent to the registered E-mail ID and to the mobile number of the candidate. All the information regarding the CUSAT CAT 2019 will be shared with the provided email ID and mobile number. 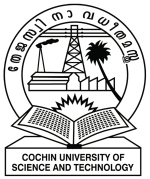 Password: Candidate should log in to the official website of the Cochin University for the first time using this password and change it immediately. Precautions: The Candidates will not be able to proceed further with the application procedure without the username and password. Hence, the candidates should write down and secure the same until the end of the application process. Submission: Click on the link provided and proceed by following the instructions that appear on the screen till final submission of the application of CUSAT CAT 2019. Note: From the second time onwards, the candidate can log in using their user ID (e-mail) and the already created Password. Payment: For payment of admission form fee, candidates should login to the their "student profile" homepage on Cochin University website. Click on the option “Online Payment” and proceed. Payment can be made either by using credit/debit card, Challan or through net banking. Mode: The Candidates are required to pay the CUSAT CAT 2019 application fee through an online payment gateway or through offline mode. For online mode, candidates can make payment using Debit Card/ Credit Card /Net banking. And, for offline mode, candidates have to take the printout of the SBI Bank E-Challan and make the payment at the bank. Note: Applicants who are applying for the Post-Doctoral, Ph.D., M.Phil, Diploma & Certificate Programmers, are required to submit the CUSAT CAT 2019 application fee at the concerned departments in the form of Demand Draft(DD) from SBT or SBI, drawn in favour of the "Registrar, CUSAT", which is Payable at Ernakulam.